, with old-school-vibe band Vitamin Party, high energy My Parade, the thrashy 12 Steps to Nothing, all down from the Bay Area. Even louder and faster locals Hate for State round out the bill. 9 pm, $5. 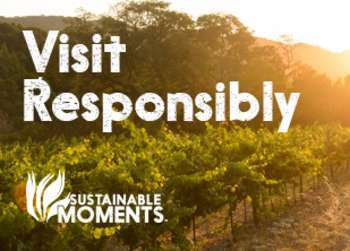 Are you a Monterey County resident? 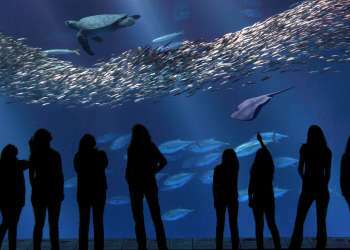 Enjoy free admission to the Monterey Bay Aquarium on Saturday. Don&apos;t miss the awesome Secret Lives of Seahorses exhibit - wave hi to Herbie Hippocampus, Facebook&apos;s favorite seahorse! 10 am - 6 pm. Pinnacles National Monument has waived their entrance fees for this weekend. Take Dad on a hike! Marina&apos;s Vince DiMaggio Park hosts Native American Cultural Day. Watch live traditional dances, hear traditional stories, and learn to make traditional Native American crafts. Noon to 3 pm. Free. If you&apos;re a surfer, Carmel Beach is the place to celebrate International Surfing Day. Help with a beach cleanup, and enjoy barbecue and music. Noon, free. Bernardus Lodge in Carmel Valley, usually known for its wine, makes a big splash in cocktail culture with their Afternoon Cocktail Hour featuring Sobieski Vodka. Learn how to make amazing cocktails with fresh local fruits and herbs, then enjoy some cocktails yourself in the garden, as well as hors-d&apos;oeuvres by Chef Cal Stamenov. 3-5 pm, $65. Jose&apos;s rocks again, with LA outfit Spindrift (imagine a soundtrack to drug-induced hallucinations in a Quentin Tarantino-directed Clint Eastwood spaghetti western, and you&apos;ve got the idea), San Francisco&apos;s melodic Assemble Head in Sunburst Sound (think early Pink Floyd atmospheric moments without the nervous breakdowns, with a cupful of Grateful Dead in the mix), and Serpico (think very early Rush with a little Steely Dan demo vibe). 9 pm, $10 at the door. Big Sur&apos;s Fernwood continues their Saturday night lineup of eclectic acts with Santa Cruz&apos;s funky Afro-beat artists Danjuma & Onola. 9 pm. As you may have heard, Monterey County&apos;s state parks are all threatened with closure by budget cuts. At Pfeiffer Big Sur State Park, they&apos;re not just talking about it - they&apos;re doing something. Enjoy great music from folk singer Alisa Finerman, show your support for our state park system and learn what you can do to make sure our parks stay open. This event is synchronized with others at parks across the state. 2 pm, Pfeiffer Big Sur State Park softball field. Want to take a free hike? Entrance fees at Pinnacles National Monument are waived for this weekend. Looking for something to do for Father&apos;s Day? Bring Dad to Bernardus Lodge for brunch, barbecue, and bocce. Noon-3 pm, $40/guests over 12, $20 for children 6-12. As usual, there&apos;s more going on here than we can list. Take a look at the Monterey County Weekly&apos;s online calendar to get more info on this weekend&apos;s events.